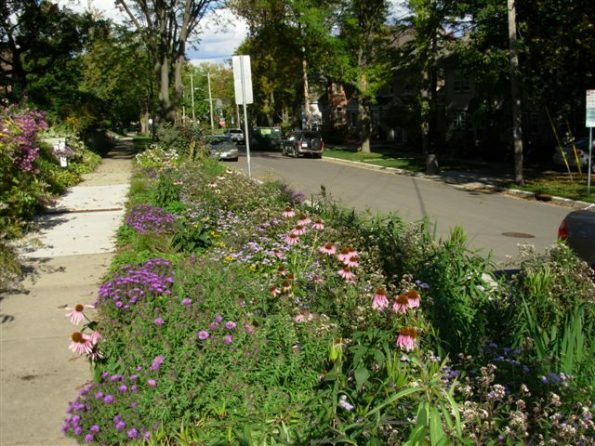 Rain gardens help improve the quality of our lakes by capturing pollutants and infiltrating runoff. One additional benefit for Lake Wingra is that increased infiltration can help restore spring flows, which is the main source of year-round flows into Lake Wingra. Out of the 600 rain gardens that have been installed around the City of Madison at least 80 of those are in the Lake Wingra watershed. The Friends of Lake Wingra (FOLW) hope to see many more rain gardens installed in the Lake Wingra Watershed to help reach a short term goal of restoring 10% of the infiltration lost to development. Efforts are underway to install enough rain gardens to infiltrate over 1 million more gallons of runoff! 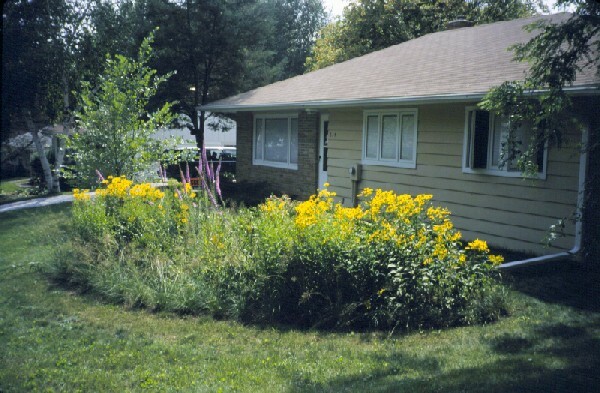 The FOLW have also provided funds for schools to build rain gardens and the Friends have educated homeowners about the importance of rain gardens.